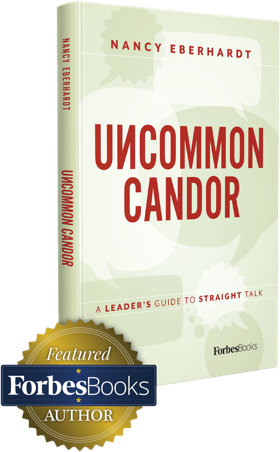 As I write Uncommon Candor and share examples of candor in organizations, Johnson & Johnson and its recall of Tylenol almost 30 years ago remains one of the outstanding examples of being forthright in times of crisis. In 1982, seven people died unexpectedly in the Chicago area within one week. It was discovered that the common thread between the deaths was that each victim had consumed Extra-Strength Tylenol. At the time, this medicine was the company’s best-selling product and the #1 over-the-counter pain reliever on the market. It was quickly determined that the Tylenol had been tampered with after arriving on store shelves. Someone had placed 65 mg of cyanide in each tablet, which is many times more than a lethal dose. James Burke, the company’s CEO, had a decision to make. While it was believed the tampering had happened after the pills left Johnson & Johnson’s production and distribution channels, there was no way to know how many more bottles of Tylenol were carrying lethal tablets. Burke could have done what other organizations do at times like this in an effort to protect its profits and reputation – deny culpability, say carefully crafted words developed to avoid future litigation, blame others and delay action. Another option, the one most focused on public safety and the more costly one to the organization (certainly in the short term) was to recall the product. Burke proved to be an example for all business leaders. He not only decided to recall the product in Chicago, but extended the recall to all Tylenol on shelves nationwide. Imagine standing in front of your management team and board of directors and recommending the recall of over $100 million of your leading product. Then, to restore the brand to a market-leading position, Johnson & Johnson would need to spend massive amounts of manufacturing and marketing dollars to replace the tablets and re-build customer trust and loyalty to Tylenol. Not only did Johnson & Johnson give us a fine example of candor by an organization in the throes of crisis, but as part of the initiative to re-introduce a safe Tylenol product, the company developed the first example of tamper-resistant packaging that is the norm today in the pharmaceutical and food industries. Due to these actions, additional lives were spared and innovation in packaging resulted. Within a year, Tylenol sales and Johnson & Johnson stock returned to pre-crisis levels. Why do companies still struggle with acting candidly? What is it about the fear we feel in times of crisis that freezes us or has us act in a less than candid way? How can this example from 1982 be a model that more organizations use in times of crisis?